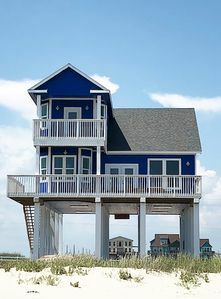 Aquatic Nights is a large and new house located in the upscale, Velasco Shores neighborhood in Surfside Beach, Texas. 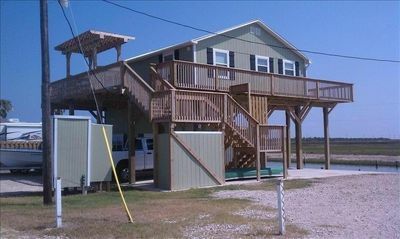 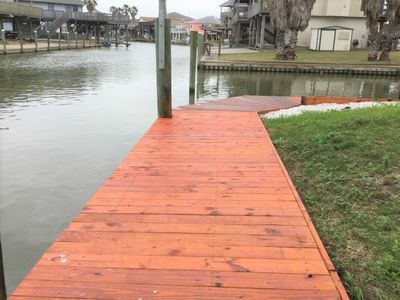 The house is a 3 bedroom, 2.5 bathroom home with great water views, easy beach access, and a spacious back deck. 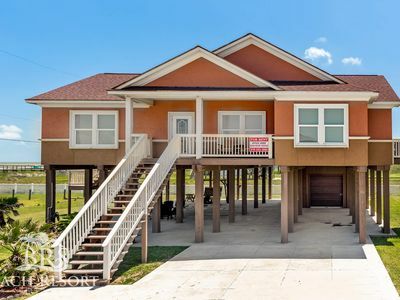 Inside the house, you will find an open concept living, dining and kitchen area that opens up to the back deck and great water views. 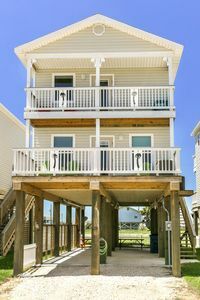 The bedrooms are all attached to a bathroom; there is a laundry room with access to the back deck and a deep freezer, the kitchen is spacious with pantry, stainless appliances, and granite countertops. 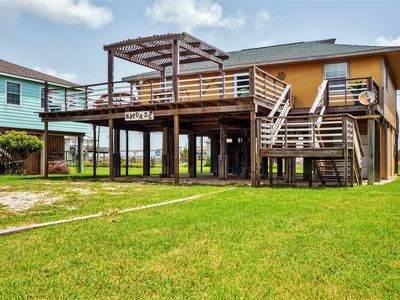 Downstairs is a large, grassy yard with plenty of seating. 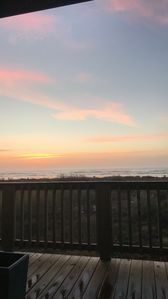 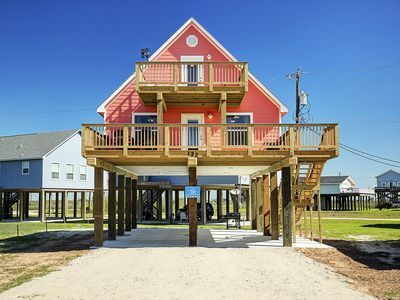 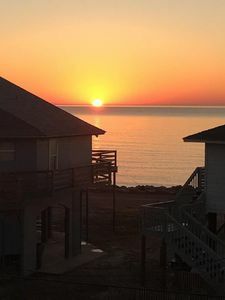 3BR Surfside Beach House w/Sunset Views! 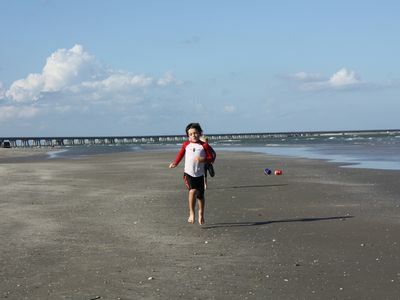 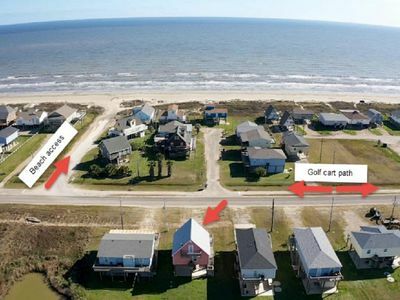 Freeport Beach House Walk to Surfside Beach! 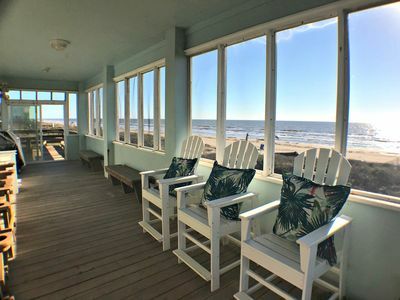 3BR Surfside Beach House w/Ocean Views, Steps Away from the Beach! 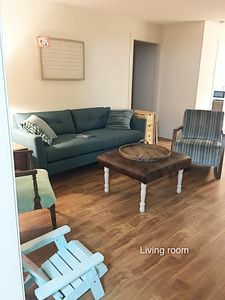 Family and Fisherman friendly! 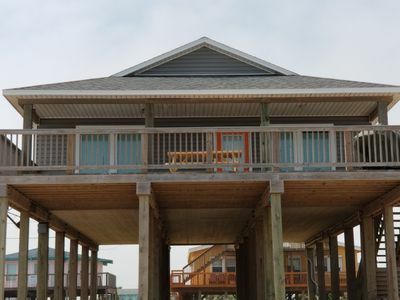 This is the perfect beach and bay vacation home. 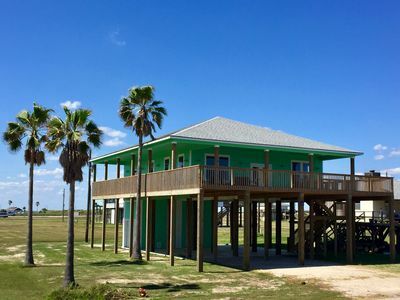 Three Palms Paradise - Water view, Great for families! 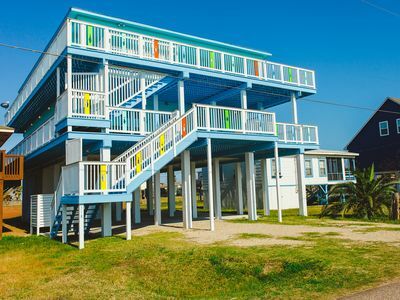 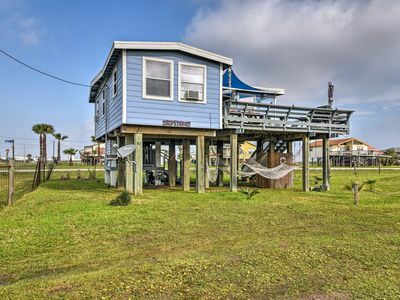 Surfside Beach House w/Deck- Steps from the Gulf! 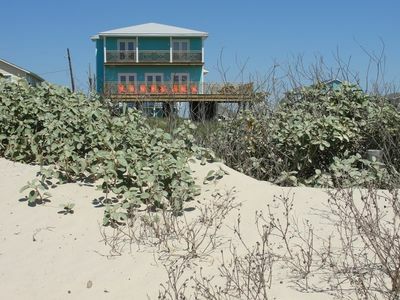 Octopus's Garden - Direct Beach & Water Access! 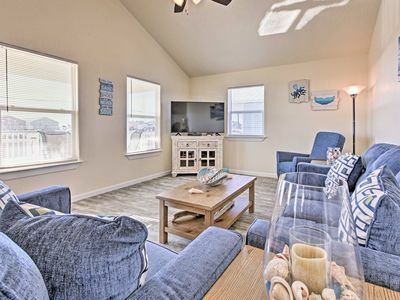 “Lifetime of Memories” with Seas The Day - HOWARD STREET PROPERTIES ARE THE NEW! 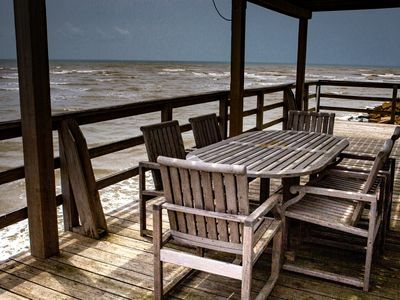 AMAZING GULF VIEWS! 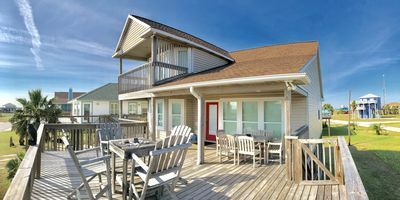 Your dream vacation awaits!